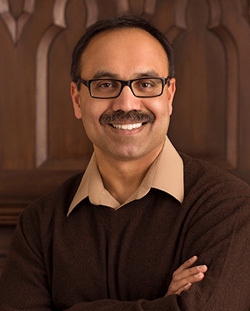 Himanshu Mishra is the David Eccles Professor of Marketing at the University of Utah. Dr. Mishra investigates research questions in the domains of behavioral decision theory, cognitive biases, consumer psychology and behavioral economics. He uses predictive analytics to understand and predict decisions made by consumers in the marketplace. His research has appeared in numerous leading journals of marketing, business, and psychology, such as the Journal of Marketing Research, Journal of Consumer Research, Psychological Science, Journal of Marketing, Marketing Science, and Management Science, among others. Dr. Mishra’s research has received media coverage from a variety of outlets such as MSNBC, The Wall Street Journal, Scientific American, NPR, SmartMoney, CBS, The New York Times, and The Washington Post. He has served as an expert witness in Lanham Act trademark litigation involving secondary meaning, likelihood of confusion, and deceptive advertising surveys. Dr. Mishra holds a Ph.D. in Marketing from the University of Iowa.